Every Mercedes-Benz model in India has either seen a generation change or is based on an all-new platform. The E-Class did receive an update last year but an all new car is still to roll out,it will happen soon but that doesn't mean buyers are staying away from the E, in fact the updated model has done very well and one can spot a lot of them on the roads today. But look behind these cars and most of them and they will read E 200 or E 250 unless you happen to spot a lot E 63 AMGs. 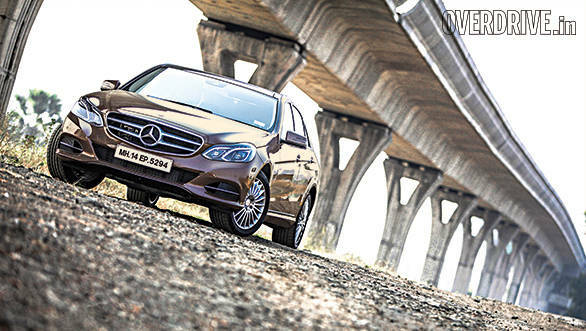 The 4-cylinder diesel and petrol powered E-Class' are the most common variants in the Indian market. Go back in time and you will realise that the E was also offered with a more powerful diesel V6 engine. To continue with record launches for the year, Mercedes-Benz have now introduced the improved E 350 CDI. The 3.0-litre V6 motor produces 265PS of max power at a low 3,800rpm while a whopping 650Nm of torque is available from 1,600rpm to 2,400rpm. These figures have certainly gone up making the E 350 CDI the most powerful non AMG E-Class available in India. But how good is it on the road? The V6 motor is one of the most refined diesel units ever, the motor is calm and it's one of those engines that one may think is turned off while in idle. Power comes in effortlessly even during part throttle and this goes well with the E's character. Step on the throttle and the V6 won't disappoint, the engine is still quiet and only when you look at the speedo needle climbing really fast will you realise that the car is actually at a higher speed. Using the V6 power to good use is the standard, 7-speed automatic transmission. This unit does a good job in transferring all the power and is ideal for driving in town or on the highway. 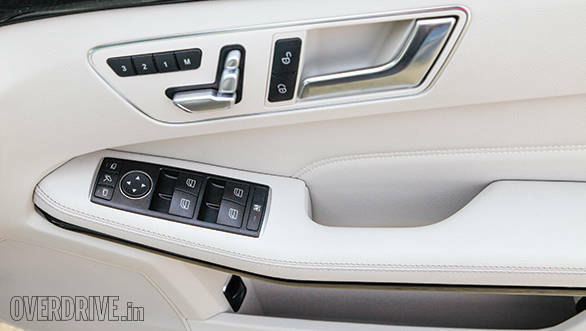 However, manual gear shifts aren't very quick, one can shift using the paddle shifters or the gear lever. In Sport mode, the car feels like it's leaping forward during up shifts, a good feeling indeed. 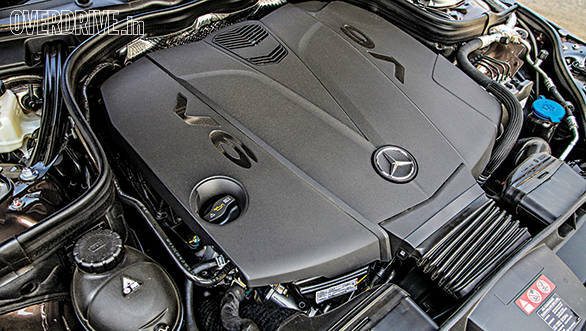 Performance has definitely improved, Mercedes-Benz claims the car will hit 100kmph from standstill in 6.6 seconds, in our test the car did the same in a slightly slower 7.1 seconds. This still makes it a very quick car considering she weighs almost two tonnes. The suspension is tuned well to offer impressive ride quality that is best in class as well as good high speed dynamics. It is a much more powerful car than the E 250 CDI by a margin, but there's very little to distinguish the two diesels in terms of styling. Both cars look identical and only the badge and the S-Class like 17-inch multi-spoke wheels in the E 350 are different. Some may like this since the E 250 is a smart looking car that also features elegant detailing. But some do like the more premium variant to stand out from the rest and will be disappointed in this case. It's the same story inside as well, the cabin is almost identical. Only the centre display is larger and it offers a handy 360 degree parking camera. Priced at Rs 57.42 lakh, ex-Mumbai, the E 350 CDI is almost Rs 10 lakh more than the E 250 CDI. The difference is even higher when the on-road prices are compared, this may seem like a lot considering only the powertrain and a few features are different. However, the newest E is priced on par with its German rivals. The answer is clear, if you are looking for an E-Class simply for the badge, go ahead and get yourself the E 250, the car offers decent performance and better efficiency too. But if you don't mind paying the premium and want the complete E-Class experience, the E 350 CDI is the car for you.